Revlon kills it when it comes to lip products. When I heard they were releasing a new line of lipsticks I was excited, what could it be? They covered the balm stains so I was thinking maybe they would try to compete with the Maybelline Vivid line? Nope! 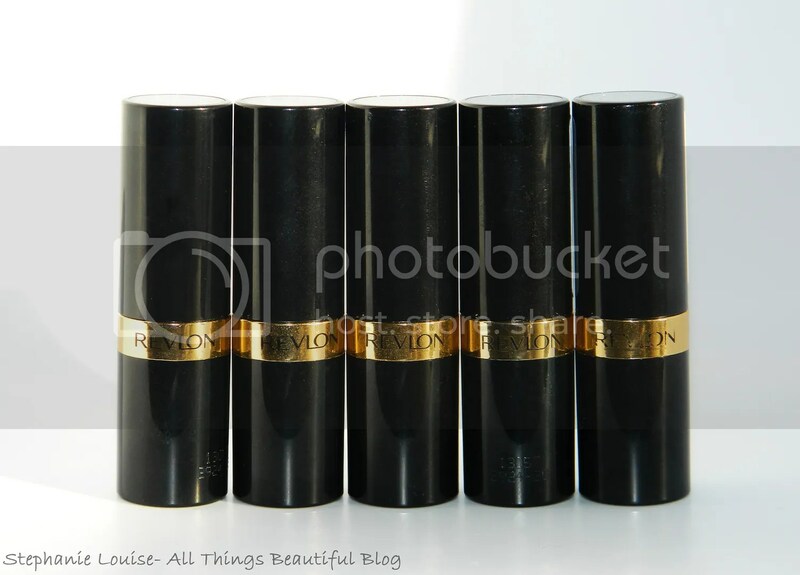 Instead they whipped up something worthy of a high end brand, keep reading to see why I am loving the Revlon Super Lustrous Shine Lipsticks! 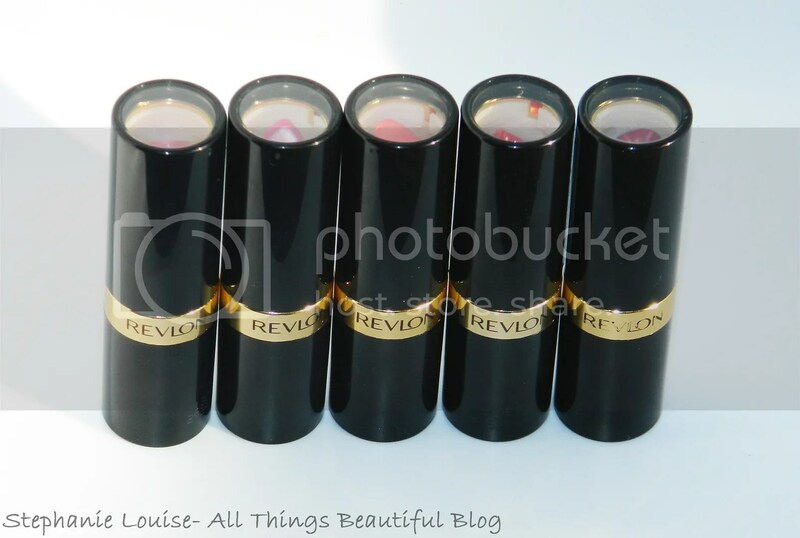 Like other Revlon lipsticks, I love the packaging. Peek windows on the top are my favorite so I can see the actual shade. Beyond helpful since labels often lie. Plus I can see what shimmer looks like which labels often hide. A silky lightweight formula that lets you indulge your decadent side. Available in 10 new luxurious shades. 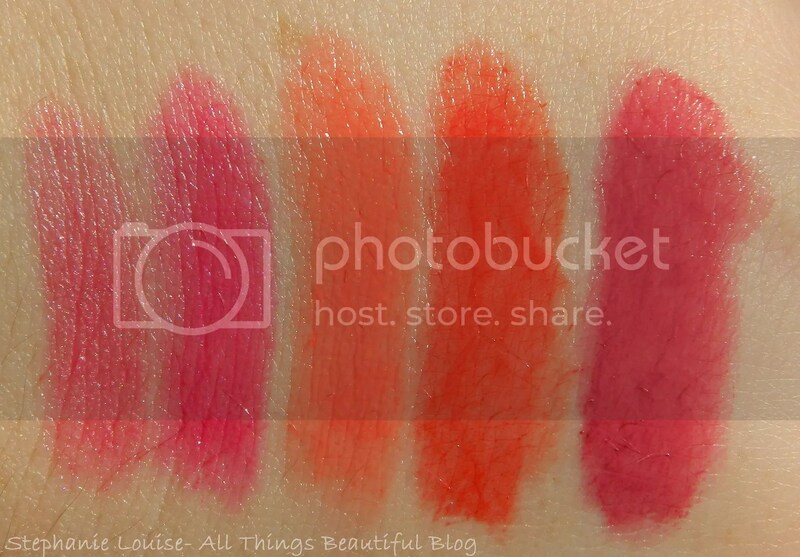 Swatches from left to right: Revlon Super Lustrous Shine Lipsticks in Kissable Pink, Fuchsia Shock, Lovers Coral, Rich Girl Red, & Berry Couture. Each swatch is multiple swipes to build up the color to full opacity so you can see it. This new Revlon Shine lipstick formula is very creamy & moisturizing but all of these shades seem to be more sheer than you’d think by the label or peek window. 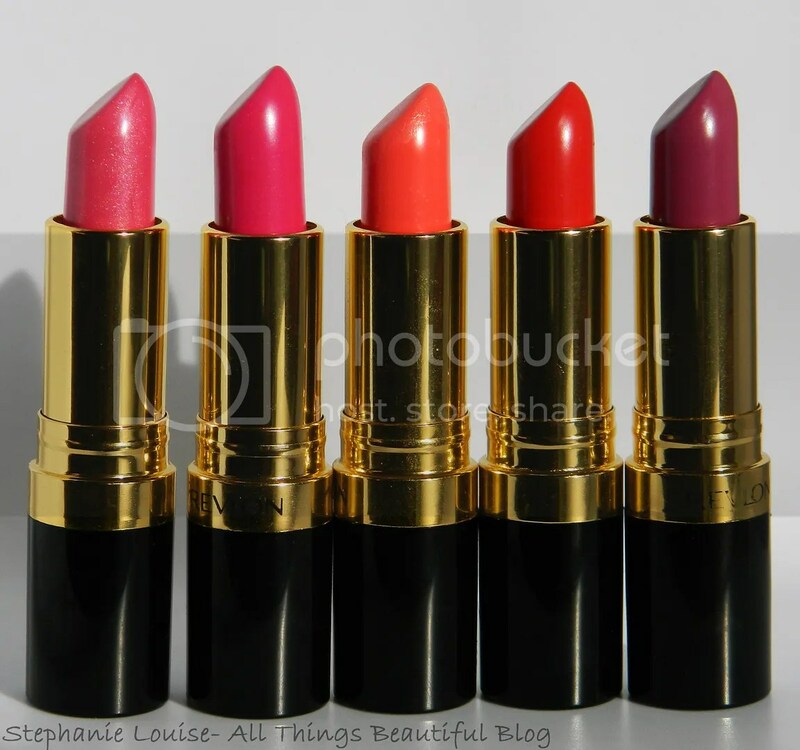 These do leave your lips with a kiss of shine much like a moisturizing balm but in a lipstick form. The shine does eventually wear away but the color lasts a bit longer. When the shine fades (within an hour) you’re left with more of a satin color & some of the darker shades actually stain the lips. I find these comfortable to wear & wear off evenly but not exactly long lasting. 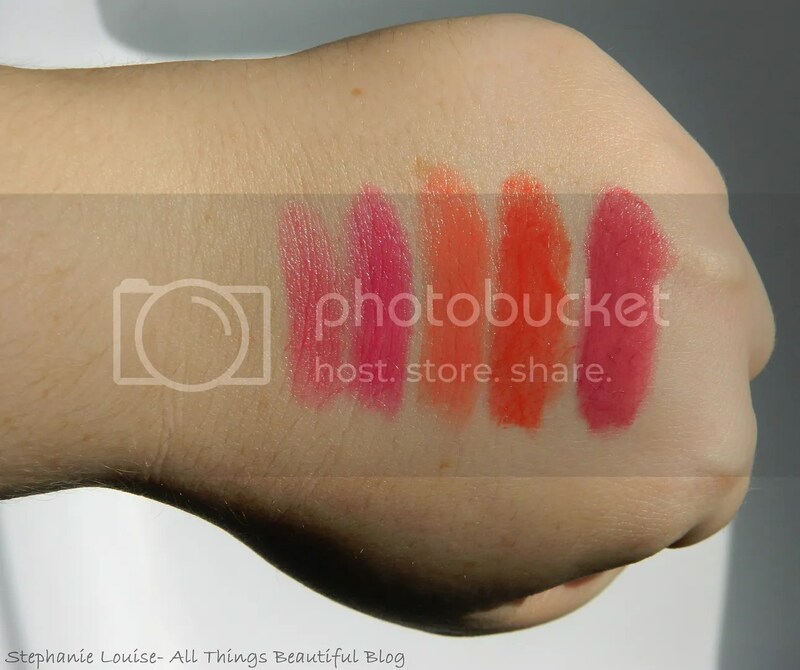 For the lip swatches below, I did lighter swatches so you can see how I normally wear them & how they wear down a bit. You can absolutely get the same shade as the swatches above, just wanted to show some variety! Revlon Super Lustrous Shine Lipstick in Kissable Pink- A sheer shimmery pink. The shimmer comes across more as shine not shimmer so it doesn’t look frosty. Revlon Super Lustrous Shine Lipstick in Fuchsia Shock- Creamy light fuchsia pink. You’d need to really build it up to make this shade opaque. I tend to prefer it sheer. Revlon Super Lustrous Shine Lipstick in Lovers Coral- A sheer creamy coral. I have been wearing this shade a lot this summer, I find it really flattering. Revlon Super Lustrous Shine Lipstick in Rich Girl Red- Sheer tomato red. Really pretty & easy to wear for a red. Revlon Super Lustrous Shine Lipstick in Berry Couture- This comes across as a neutral pink when sheer but it can be a bit more berry in a few more swipes. I bought my lipsticks at a few places. When they weren’t on sale at CVS or Walgreens I’d snap them up at Target. Overall I’m pretty happy with my choices & I even picked up another shade called Pink Pearl which is a nice neutral that is barely noticeable minus the shine. My favorite shades I’ve picked up so far are Lovers Coral & Rich Girl Red but I actually like them all so far! I consider them a light balm & sheer lipstick hybrid. What do you think of these shades? Have you tried any colors from the new Revlon Super Lustrous Shine line? Which shades are you most interested in?